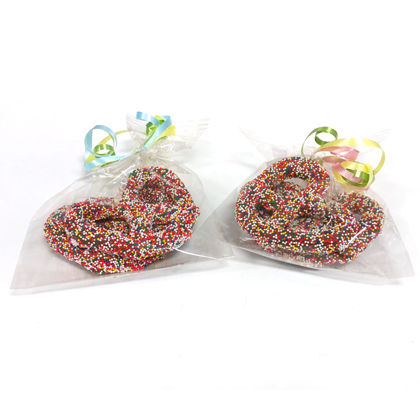 Asher's milk chocolate smothered pretzels coated with multi seeds. Ribbon color may not match the picture. Each pretzel is approx. 3 inches wide.